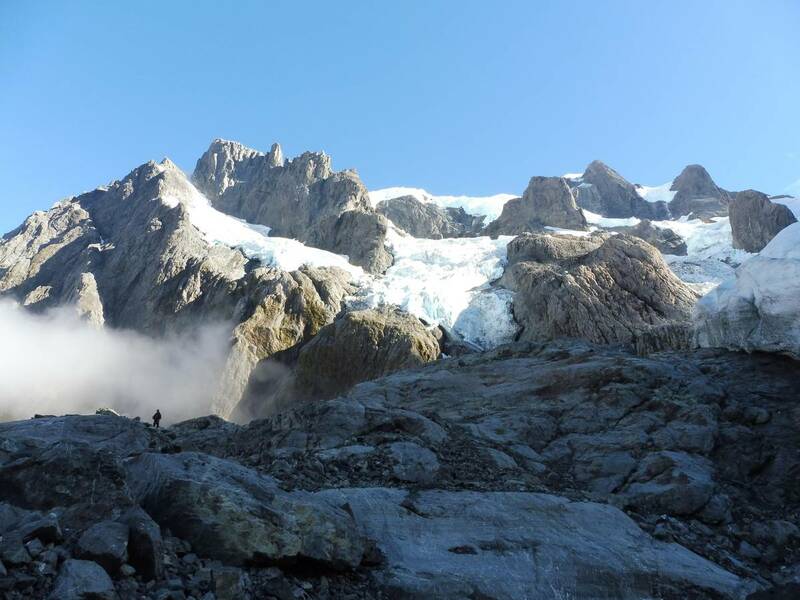 Scientists struck by New Zealand’s vanishing postcard glaciers 6 Mar, 2019 4:03pm 3 minutes to read A team of international scientists have been assessing microbial life around New Zealand’s glaciers, including the Age Glacier near Milford Sound. Photo / Supplied Share on Reddit reddit A visiting team of scientists have found many of New Zealand’s climate-sensitive glaciers still haven’t recovered from the biggest snow melt ever recorded in the Southern Alps. The group, from Switzerland’s Swiss Federal Institute of Technology Lausanne, have begun in the South Island a three-year expedition visiting glaciers in 15 countries. Their mission is to make a crucial, first-of-its-kind stocktake of hardy bugs that live in streams and rivers fed from the world’s mountain glaciers, before they’re lost forever. By collecting samples of this microbial life and analysing their genomes, they hope to understand how they’d managed to adapt to such extreme conditions, and how they were faring in the face of climate change. Advertisement Advertise with NZME. Here in New Zealand, expedition leader Mike Styllas and his team are part-way through a trip taking them from Arthur’s Pass, through the Fox, Franz Josef and Victoria glaciers, and down to Milford Sound. Our glaciers have shrunk in area by one third over the past four decades – an astonishing loss that scientists have partly attributed to climate change. “What has been impressive is that the smaller glaciers are decaying much faster and in some cases, they really tend to vanish,” Styllas said. The Brewster glacier, near the Haast Pass, has receded so much that a new stream had formed off it, the scientists found. Photo / Supplied.